The summer swelter has already hit many cities across the country, and local residents experiencing a heat wave might be preparing for a frugal staycation. Others might be looking for any chance to leave town, but the cost of a summer vacation raises hesitations — for good reason. The 2013 American Express Spending & Saving Tracker found that, of the 1,505 adults surveyed, 31 percent expected to spend more than $1,000 per person on their summer trip. But taking a mid-year break doesn’t always mean travelers have to gouge their savings fund. GOBankingRates investigated the 100 most popular city destinations during the summer months, and uncovered which locales provide the most affordable summer vacation spots. Based on June 2013 to September 2013 round-trip flight data from CheapOair, the most expensive round-trip airfare within the United States is to and from Honolulu, priced at an average of $779.19. To help travelers plan their next summer getaway for less money, we’ve profiled 25 of the most popular — and cheapest — cities to travel to this season. In addition to finding the most affordable destinations in the country, the study also highlighted prominent attractions and landmarks that keep travelers pouring into these areas during the summer months. With as many as 60 miles of sandy shores, South Carolina’s Myrtle Beach is the cheapest of the top summer vacation spots that made it onto the list. Vacationers also make their way to Myrtle Beach to walk along the Broadway at the Beach, which has an array of activities for all ages, including shopping, carousels, Ripley’s Aquarium and even a comedy club. Its website offers online coupons that also help visitors save money at its retail shops. 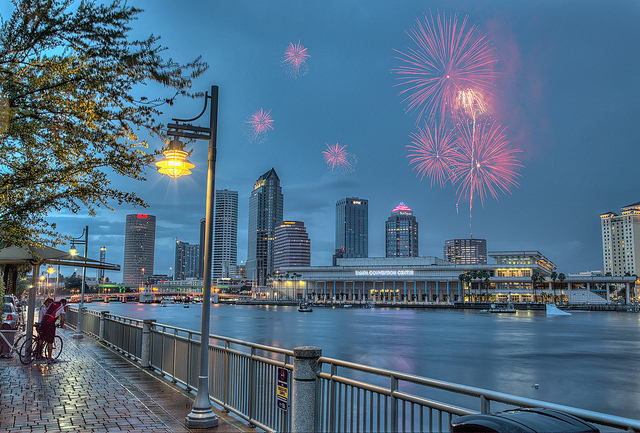 Second on the list is Tampa, Fla., which is a great place for travelers looking for summer vacation ideas at a lower price. The city’s Busch Gardens theme park offers many rides and roller coasters, as well as a wild animal experience where visitors can get up close and personal with some of Africa’s most exotic creatures. While admission to the park can get a bit costly, the website offers a $10 discount when purchasing tickets in advance. Located just east of the Fort Lauderdale area is the Everglades and Francis S. Taylor Wildlife Management Area, which is home to some of the country’s most dangerous predators and endangered animals. Adventurers can stop at several recreation areas and hop aboard an airboat for a tour of the unique landscape that this Fort Lauderdale attraction has to offer. If encountering a crocodile makes travelers anxious, they still have the option to lie beachside on Fort Lauderdale’s inviting stretch of sand. Another popular Florida hotspot comes in on top, as West Palm Beach’s seaside allure draws tourists in. But West Palm Beach has far more than just family-friendly sandcastles; its historical Clematis Street arts district offers a vivid nightlife for adults, with nightclubs, eateries and an arts center. Visitors who are looking for affordable summer vacation ideas have turned to Denver for its eclectic array of low-cost (or even free) attractions. Urbanites can trek into Downtown Denver’s pedestrian-friendly retail stores, restaurants and bars. There’s no obligation to spend money when window shopping and checking out the city sights. The city also offers free tours at the U.S. Mint, which can be fascinating for collectors, while outdoorsy types can enjoy the free beauty of Red Rocks Park and Amphitheatre’s hiking and biking trails. History enthusiasts appreciate the Atlanta Cyclorama and Civil War Museum, which details the July 22, 1864 Battle of Atlanta. Other attractions that still bring in an audience are the free shows offered at Centennial Olympic Park, location of the 1996 Olympics. Reunion Tower’s GeO-Deck provides the kind of contained adrenaline rush that gets travelers coming back for more. Known for being a distinct landmark in the Dallas area, the observation tower stands over 500 feet tall, offering panoramic, 360-degree views of the city. At $16 for visitors 13 years and older, it won’t break the bank, either. With enough activities to entertain even the most indefatigable of vacationers, Baltimore comes in at No. 8 for the most affordable summer vacation destinations for 2014. Free admission to the Walters Art Museum and a low-cost ($11 minimum per adult) visit to explore historical battleships are just a couple ways to enjoy the trip. 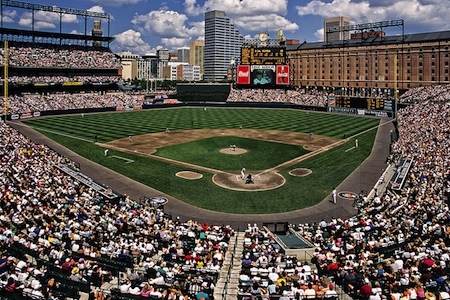 Baseball fans will also appreciate watching a game at Camden Yards, home to the Baltimore Orioles, with tickets starting as low as $10 for certain seats and games if you purchase them in advance. Rhode Island’s city of Providence makes the list of most traveled-to and affordable destinations because of the number of no-cost attractions available. The WaterFire Providence basin lighting events in downtown Providence offer an opportunity for repose after sunset, while free, 50-minute guided tours are provided at the State House, which houses Gilbert Stuart’s portrait of George Washington (featured on the one-dollar bill). California dreaming is still accessible even for penny-pinching travelers, with Long Beach as one of two Golden State destinations to make the list. Aside from the typical beach activities, the city offers a number of tourist attractions that provide hours of entertainment, day or night. The Queen Mary, an anchored ship believed to be haunted, is available for self-guided tours at $26 for adults and $15 for kids, and provides other services, including guided tours and on-ship dining. As the hub of the early U.S. automotive industry, visitors gravitate to the Ford River Rouge complex to view this section of American history at the Henry Ford Museum, Greenfield Village and the Ford Rouge Factory. The Ford Rouge Factory Tour only costs adults $15 and $11 for youths. Orlando is a city that’s built its entire focus on its tourist attractions, namely Leu Gardens, Universal Studios Orlando and the colossus of them all, Disney World. Though Universal and Disney World are known for their high prices, tourists can still enjoy visiting the restaurants, shops and entertainment at Universal CityWalk and stop by the world’s largest Disney store while enjoying the waterfront in the downtown Disney area. The public spaces in Austin welcome travelers of all budgets, but are particularly considerate of those watching their spending. Whether watching bats come alive at dusk from the Congress Avenue Bridge or taking a stroll along the Baylor Street Art Wall, hints of the local flair are apparent everywhere — and for free. 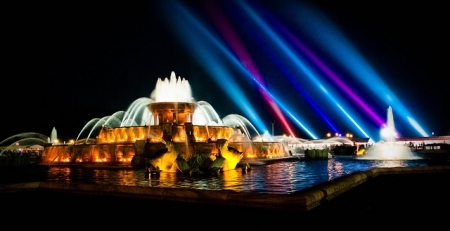 Home to the former Sears Tower (now officially named the Willis Tower), one of the two tallest buildings in the United States, and other well-known landmarks like the Buckingham Fountain, there are big things to see in Chicago. And with tickets to the deck of the tower under $20 for adults and kids, the view from the clouds is well worth the trip. Like other Floridian cities that precede it, Fort Myers offers tourists ample beaches, with a special emphasis on local wildlife encounters, like dolphins. Families can enjoy a day trip to Sanibel and Captiva Islands, or simply walk around Lynn Hall Memorial Park and pier. Known as the “thrill capital of the southeast,” Carowinds Amusement Park offers rollercoasters, rides and a neighboring water park. Extreme activities can also be found at the U.S. National Whitewater Center, which provides whitewater rafting, rope bridges to climb, zip lining and kayaking for a different kind of thrill-seeker. Pigskin fans use their trip to Akron-Canton to get their fill of the Pro Football Hall of Fame, which showcases the NFL’s most valuable memorabilia. Adults can enjoy this sports attraction for $23, while kids up to 12 years old get in for $16. 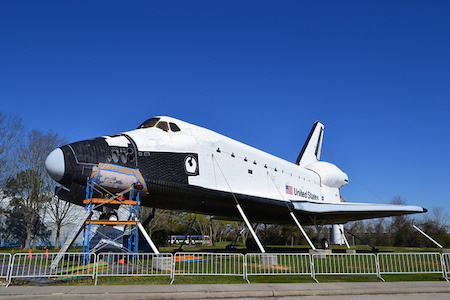 Space exploration is still alive at the Space Center Houston. Visitors can save $5 per ticket by pre-purchasing tickets online, which means big savings for larger family outings. The center gives tourists information on various NASA missions, guided tours and interactive learning tools for inquisitive minds. Scholarly summer travelers visit Manchester for its fine arts and performing arts scene. The Currier Museum of Art showcases approximately 13,000 pieces of European and American art in its permanent collection, in addition to special exhibits throughout the year. Children 12 and under can enjoy these works of art for free. Architecture aficionados appreciate the artistry behind Frank Lloyd Wright’s Zimmerman House, which is the only New England home designed by the late architect that’s open for public tours. A main attraction on the Sarasota Bay is the estate once owned by the Ringling brothers. The property includes a 56-room palace and both a circus and art museum. Another big draw of Sarasota is the Marie Selby Botanical Gardens, which see more than 130,000 visitors a year. Little Rock’s Big Dam Bridge is a well-known landmark that offers easy access to about 15 miles of riverside trails throughout the city. Spanning as much as 4,226 linear feet of bridge, the landmark is a big part of the Little Rock community. At just a little over a 30-minute drive south from Fort Lauderdale, it’s no surprise that Miami made it onto the list of top 25 most affordable summer vacation spots. The area also shares easy access to the Everglades National Park, but is predominantly known for its diverse culture. Travelers visit this affordable destination for its local cuisine and famous beaches. While the Las Vegas Strip could conceivably be a family-friendly destination for summer vacation, the latest renovations have appealed to a more adult audience. 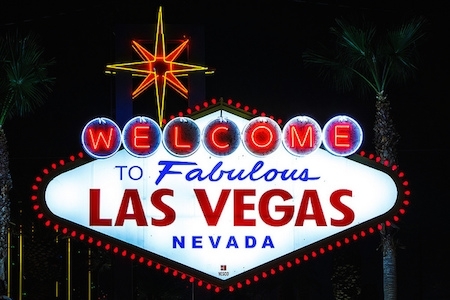 There’s a lot to do in Sin City, like walk the Strip, see the Bellagio fountain show, visit various nightclubs and lounge, gamble, indulge in a spa day or spend the day cooling off in a hotel pool. For visitors, a free form of entertainment is simply people watching while hotel hopping. The Big Apple has a lot to offer by way of sightseeing. Central Park is a great way to start the trip free. For $29, visit either the Empire State Building or Rockefeller Center’s observation deck to get a bird’s-eye view of the city. A diamond in the rough among this top 25 most affordable summer destinations list is Oakland. While some vacationers use the city as a low-cost runway to San Francisco, the city has its fair share of treasures for those who are willing to look around. Lake Merritt, also known as the “Jewel of Oakland,” offers walking paths, kayaking and areas for sporting activities, like baseball and tennis. Visitors looking for urban sprawl can turn to Jack London Square, located by the East Bay waterfront, or root for the Oakland A’s at the O.co Coliseum. Finding the most affordable flights is one way of saving money on summer vacation this year, but a couple travel experts we talked to remind vacationers there are other expenses that can be cut when planning a vacation. Learn from these pay bump success stories.